Mario and his Mushroom Kingdom friends return in this latest instalment of the popular adventure series. Super Mario 3D Land promises to deliver a fun-filled adventure that all-ages can enjoy. Expect all the fun you've come to love from Mario in this brand new addition to the franchise. Perfect to enjoy for a few minutes or a few hours, get ready to escape from everyday hectic life and fill in your "me" time with Mario! 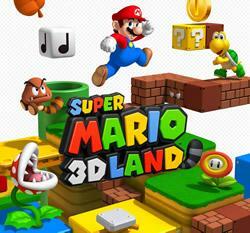 Super Mario 3D Land is a new adventure for Nintendo 3DS, the latest Nintendo handheld system. You can use the 3D slider on the side of your Nintendo 3DS console to adjust the 3D to a level that's comfortable for your eyes - or turn it off completely. The console includes an array of parental controls for your complete peace of mind in case you want to share the fun with a child. Battle new Airship baddies Boom Boom and Pom Pom, conquer Tailed Boos and Bullet Bills, and dodge Piranha Plants that spit their black goo right at your screen. Free the toads, get the girl, vanquish your archenemy and save the day. 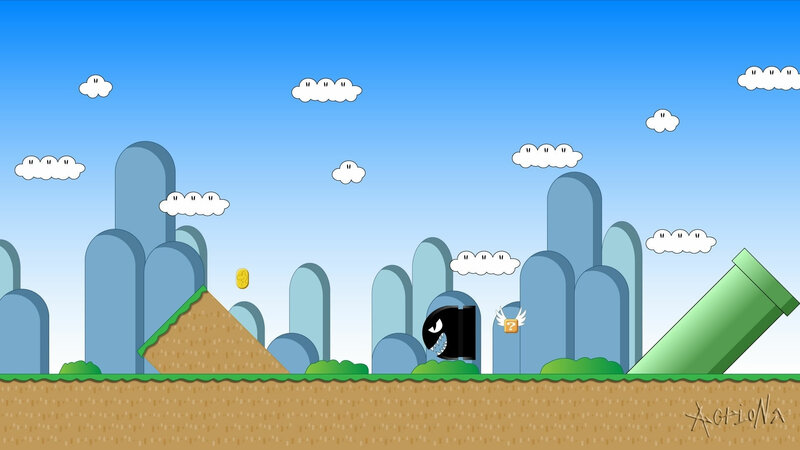 The story is familiar, but you've never experienced Super Mario like this before. The story is set deep in the heart of the Mushroom Kingdom near Peach's Castle where the Tail Tree stands proudly. The Tail Tree is the most famous Tree in the Mushroom Kingdom; distinguished by its Tanooki-Tail and the Super leaves which grow from it's branches. All was peaceful that day however at nightfall a huge storm blows away all the leaves and the distant echo of Bowser's laughter resounds in the background. Throughout his quest to rescue Princess Peach from Bowser's clutches Mario encounters several more strategically placed letters with clues as to her whereabouts. Meanwhile Princess Peach attempted to escape from Bowser herself but was quickly recaptured by Bowser and his Koopa Troop. It's the Mushroom Kingdom, but not as you know it. With the unique features of Nintendo 3DS, every question block, platform, and enemy can be seen more easily in the space around you-letting experts play with greater precision, and new players jump in more easily than ever. Immerse yourself in dungeons, cloudscapes and oceans by using the Nintendo 3DS gyroscope to look around 16 beautiful 3D worlds. 3D visuals make it easier for players to judge the depths and distances in their environments. Players can more accurately judge the jump to the next platform or how far Mario is from a question block. You can also discover many cleverly hidden secrets. You'll find these boxes on the world map, and within certain stages. Each one hides a fun surprise inside. You might find a helpful power up, enemies tossing coins at you, or it you're lucky, even a Star Medal. Once you're in the box, you've only got a few seconds to grab your goodies - so act fast. Mystery boxes that you find on the world map can be shared with other Super Mario 3D Land players via StreetPass. See if you can collect them all. With Mario's amazing new world comes an array of awesome new power-ups and items, alongside classics that fans know and love - all experienced in thrilling new ways. Super Leaf: Explore the vast landscape with the return of Mario's Tanooki suit. Just grab a Super Leaf power up to float in the air, attack with a tail, and even transform into a statue after performing a ground pound. Super/Dark Mushroom: In Super Mario 3D Land, Mario now starts every level powered up by his trusty fungus. If you get hit, you'll shrink and lose your hatâ€¦ then you'll want to track down another one of these. Watch out for their evil counterparts - these have the reverse effect. Fire Flower: Grab a red hot Fire Flower to have an endless supply of flaming fireballs at your disposal. These red hot projectiles bounce off wall until they burn out, letting you attack from unexpected heights. Super Star: This five-pointed wonder makes Mario invincible for a short time, letting him run all over the place without any fear of getting hurt by enemies. Knock out at least five in a row and you'll start to earn 1-Ups too - continue the chain to really clean up. Propeller Box: When Mario dons one of these nifty blocks, he can perform an extra propeller-fueled leap with every jump he makes. Having one of these handy makes those dizzying heights a bit easier to manage. Star Medals: These shining medals are found in every stage, and in certain mystery boxes. They can also be very tricky to find. Grab them to open up special stages throughout each world. If you want to unlock everything the game has to offer you'll have to find them all. Invincibility Leaf: An Assist Block with this helpful leaf will show up when you've failed a stage five or more times. If you choose to take it, it will change Mario into White Tanooki Mario - which makes him impervious to all enemies and obstacles to help you finish the stage. P-Wing: Having some serious trouble? If you fail more than ten times in a stage, the P-Wing will appear, letting you fly through the stage in no time flat. Only use it if you're just completely stumped.